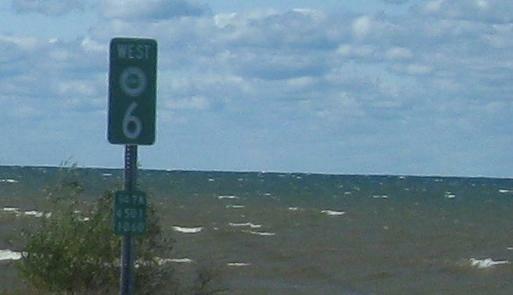 New York Roads - Lake Ontario State Pkwy. 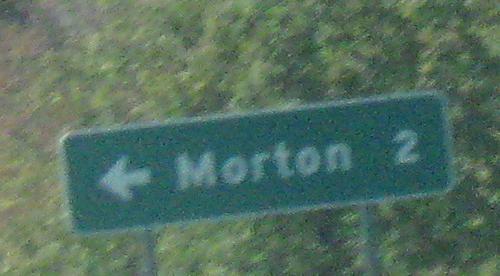 Most of the photos on this page are westbound, so I'm starting in the east and heading west to the Manitou Rd. 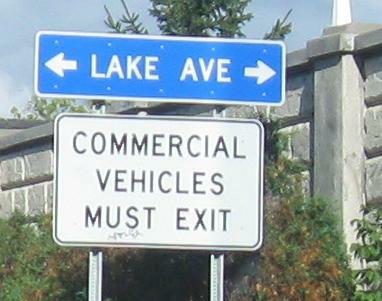 overpass. 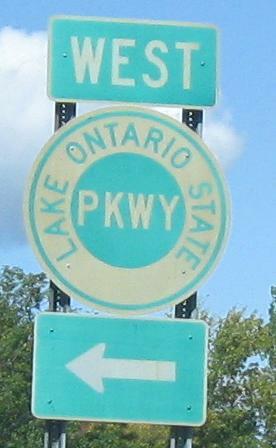 The blue Lake Ave. sign would be green if it were on a state highway, but this is Pattonwood Drive WB about to become Lake Ontario State Pkwy. 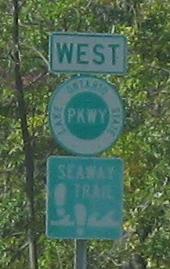 at the Lake Ave. traffic signal. 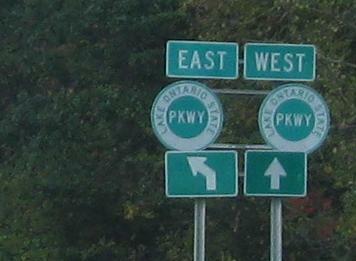 I think someone put opposing magnets on the LOSP shields at the U-turn east of Long Pond Rd. 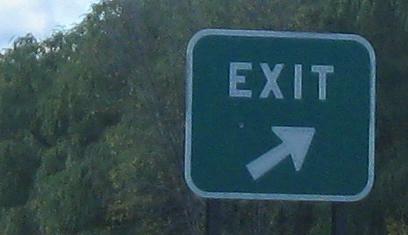 Some EB button copy at Greenleaf Rd. 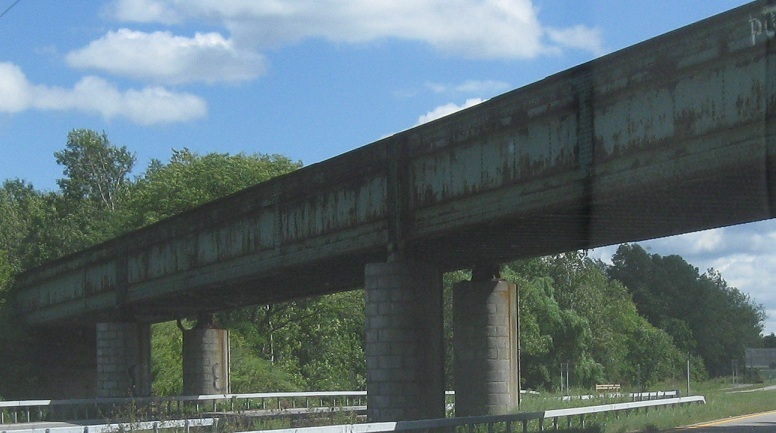 and an old, slightly decorative railroad trestle. 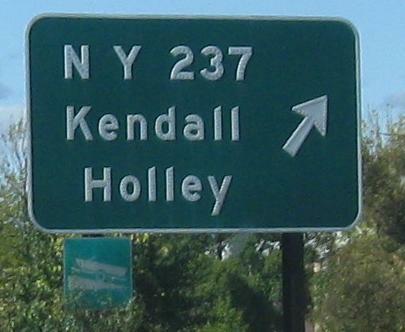 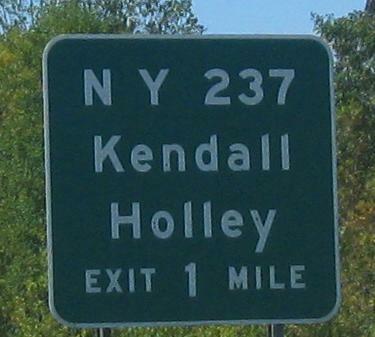 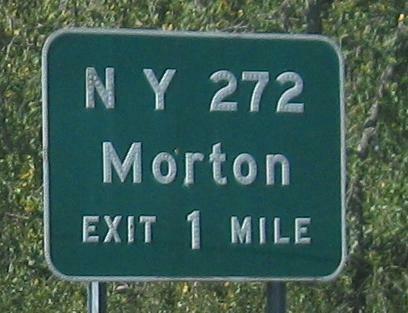 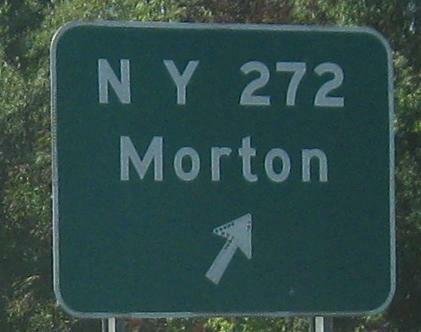 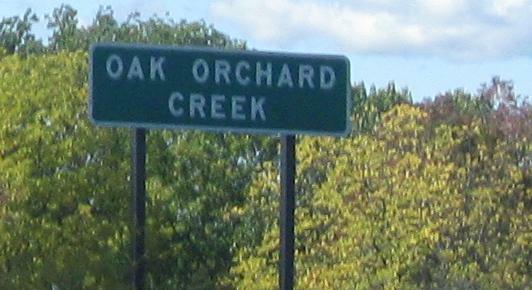 An original sign in all caps and a layout predating standardization, the wrong way to lay out a fraction (it's correct on the NY 261 sign), and a newer sign assembly with a too-small shield that gets the directional colors switched (see shields atop this page). 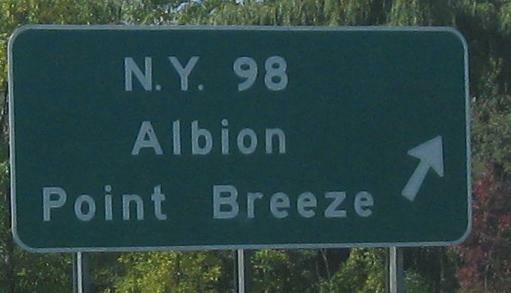 Continuing WB, the BGS's were replaced but not the original old-font shields. 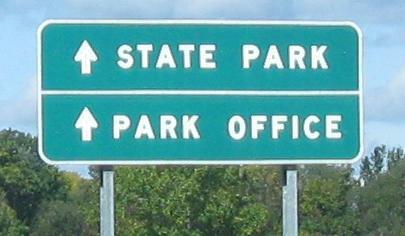 The stone house is an original median Parkway rest area since closed. 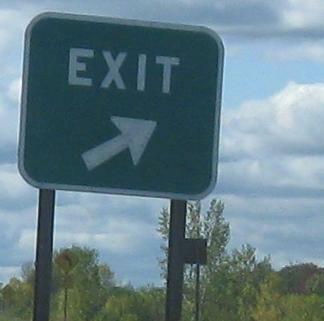 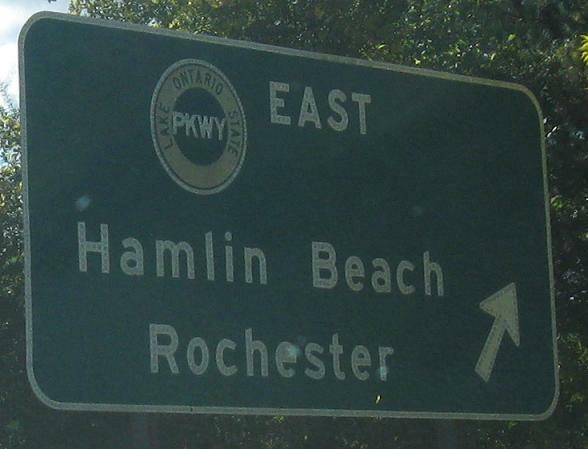 The entrance to Hamlin Beach State Park, then U-turning at the shield and heading back south to the highway again. 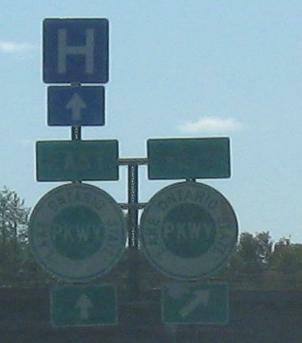 The interchange is laid out like a standard trumpet, but this U-turn loop and one between the EB off- and on- ramps turn it into a strangely shaped traffic circle. 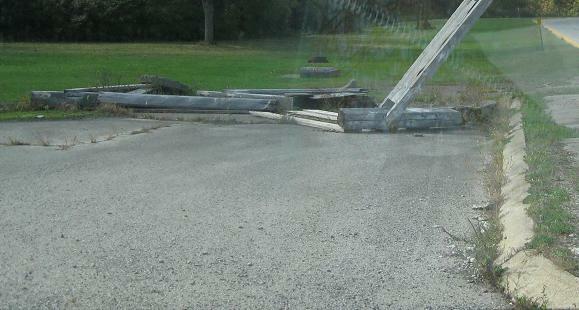 How does a one-panel sign end up in two disjointed pieces? 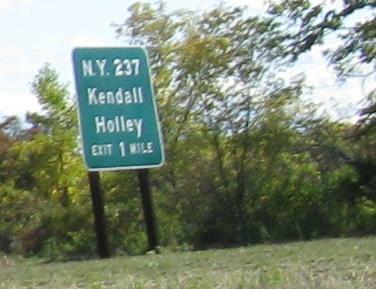 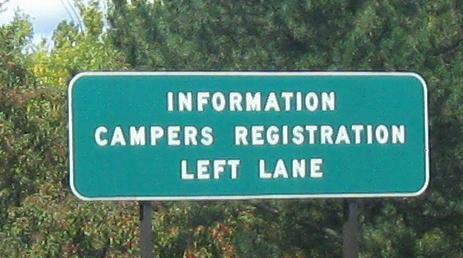 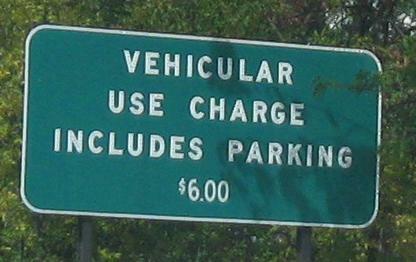 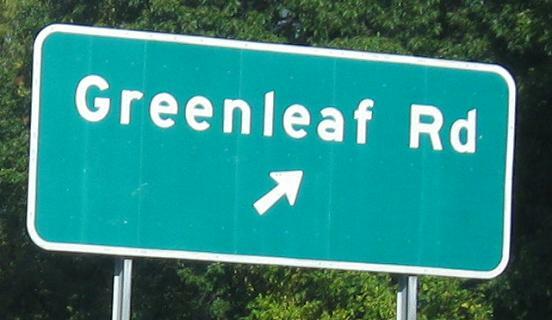 Did someone hit the left side of the sign - and if so, why wasn't the piece lined up when it was replaced? 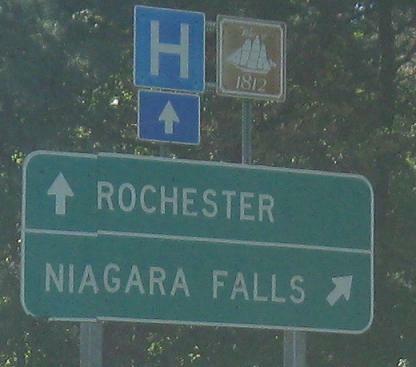 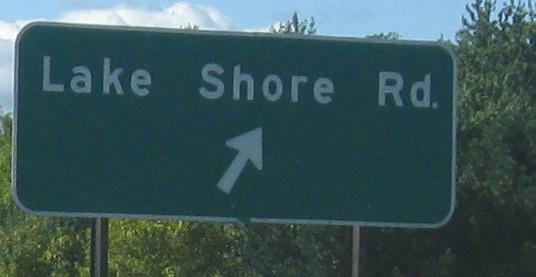 The destination of Niagara Falls can be reached via NY 18 from Lakeside Beach, but hints at the original intent of the Parkway. 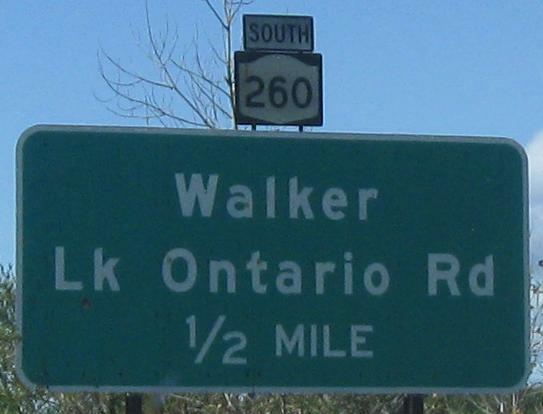 It was supposed to run across the entire southern shore of Lake Ontario from Rochester west, meeting up with the northeastern end of the Robert Moses State Parkway. 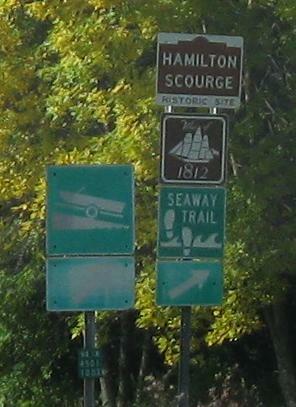 Call it a hunch, but given the spur into Fort Niagara State Park, I would guess that the Moses from there east would have been part of the Lake Ontario State Pkwy. 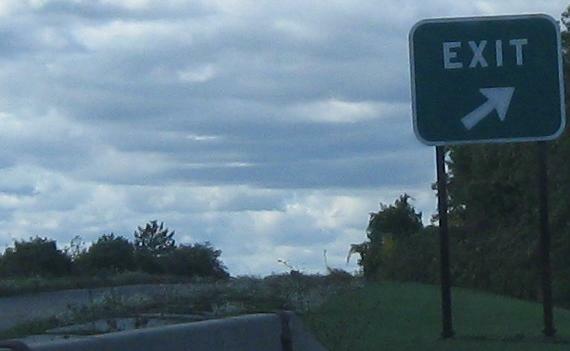 Two of the only EB button copy signs visible from the WB side. 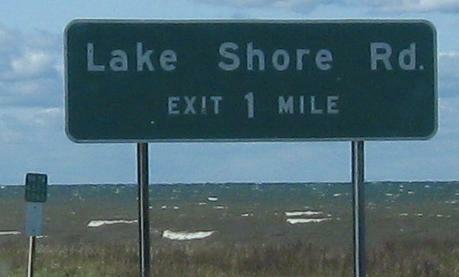 Yes, all westbound, and your first glimpses of the namesake lake. 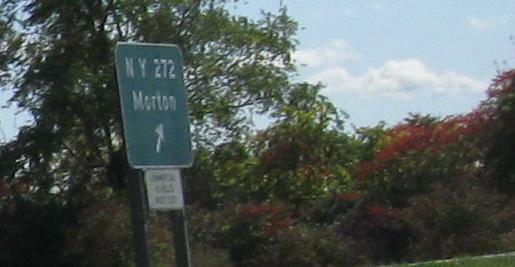 This stretch west of NY 237 is the only significant length right up against the water. 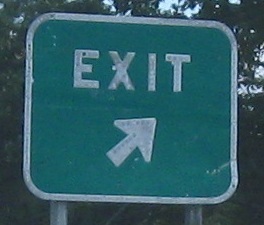 The stub WB end. 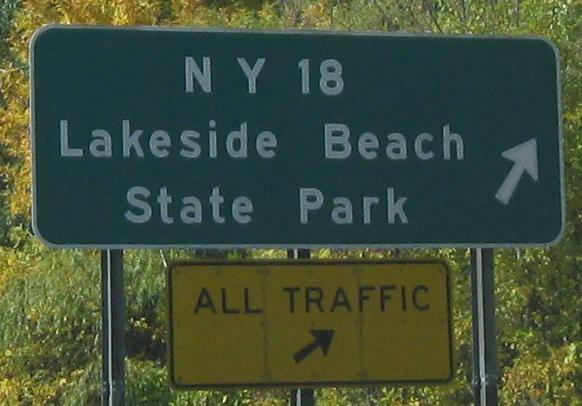 As I said, the parkway was meant to continue quite a bit farther west, but clearing and grading basically stop right on the west side of the Lakeside Beach State Park access road, not even completing the interchange. 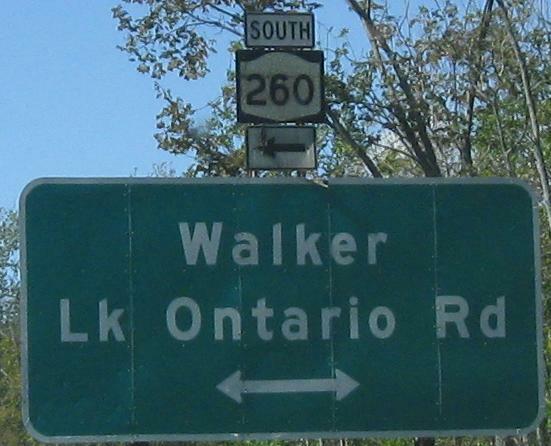 Because of that, technically the Lake Ontario State Parkway turns left at the end and reaches NY 18 via the park access road, which is a different reference route (958A instead of 957A) because it was supposed to be a different road. 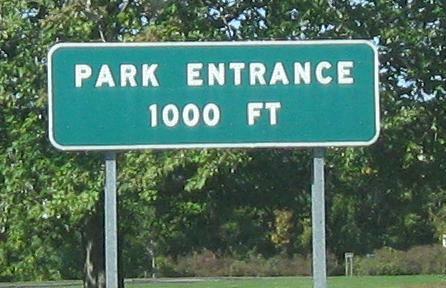 The NB park access road. 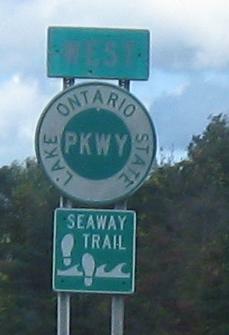 Passing what would have been the way from Lakeside Beach State Park west to Niagara Falls, chaining together a string of state parks along the way. 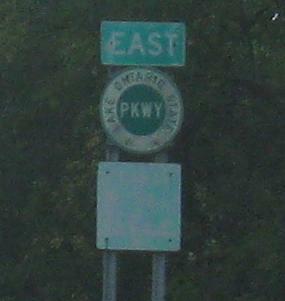 You also pass the only button copy Parkway shield. 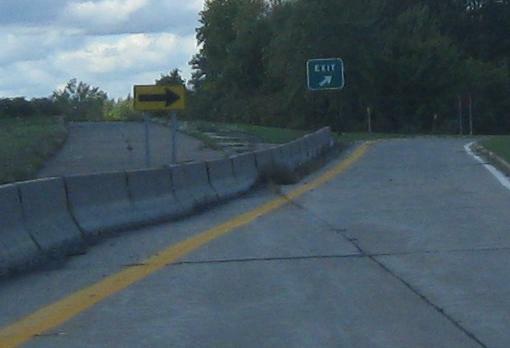 About twenty feet of the EB offramp was constructed, and it was cleared up to the bend in the ramp but no further.